Thursday, March 24th, 2016 . 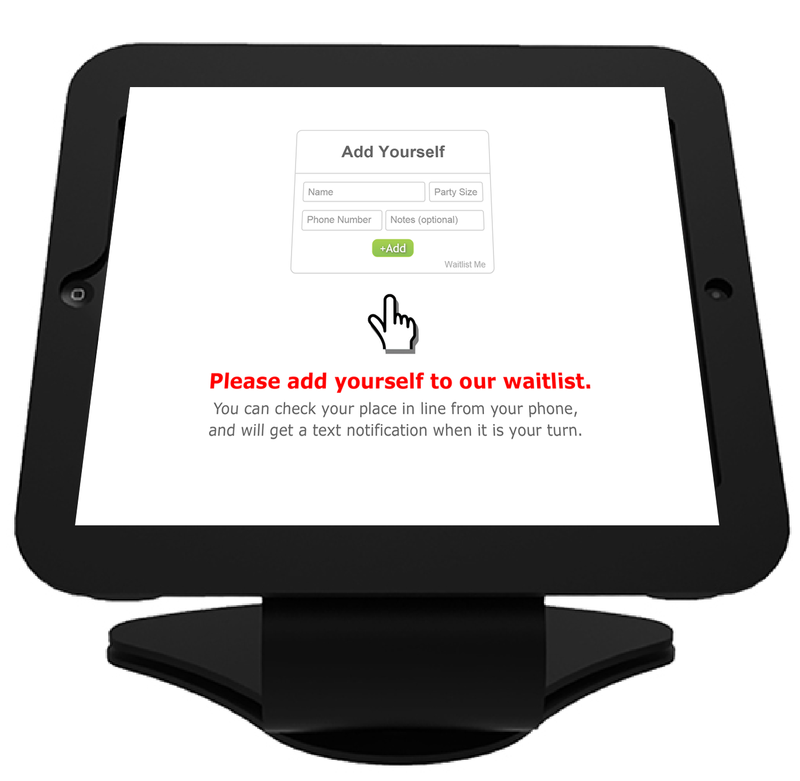 Waitlist Me has a couple options for allowing customers to add themselves to the waitlist and reservations. It also offers variety of ways to customize the process to the needs of different businesses. A few months ago we released a web widget that businesses can easily add to their websites. Many businesses told us how much they liked the new widget. As part of the feedback we received, we found ways we could make implementing and using the new widget even simpler, and we added an option to use the widget on a hosted page. The new widget page allows businesses to just link to their unique URL from a website, blog, email, or whatever. The widget page is easier for less tech savvy businesses, and there is no need to involve a web developer to make sure it is added correctly to the website. The widget page is also especially well-suited for businesses that allow people to add themselves to the list when they arrive at the business. All you have to do is put the URL into the browser of any tablet and you have your own check-in station. By setting the widget option to only show the “Add Yourself” screen, and not the estimated wait you might show on a website, it simplifies the page even further. You can also add custom instructions and images to the bottom of the page for more clarity. When asking customers to enter themselves, the simpler you make the interface, the less chances there are for mistakes and frustration. The hosted widget page makes it easy for your customers to add themselves, which makes it easier for you. Monday, December 11th, 2017 . Friday, September 28th, 2018 . Is your waiting area a nightmare for diners? Customer experience is one very important thing you can’t afford to skimp on. That five-star review you’re looking for starts as soon as guests walk through your front door. The good news: Customer experience is the easiest thing for restaurants to fix. Still, scads of otherwise-awesome spots lose stars before diners take their seats! Read on to find out where they’re going wrong—and one so-easy-we-can’t-believe-not-everyone-is-using-it way to wow guests, garner top-notch reviews, and keep customers coming back for more. Could your waitlist use an upgrade? If your restaurant is facing any of these five dining experience problems, it’s time to revamp the way your customers wait. It’s cramped. If it’s tough to squeeze in a party of four between your entry way and your hostess stand, you’re setting your guests up for discomfort right off the bat. The longer they stand there—and make way for new arrivals and passing busboys—the less they’ll enjoy their dining experience. It’s crowded. Packing guests in like sardines sounds great in theory, but it’s really a disaster waiting to happen. When hungry guests walk in and see a crowd ahead of them, they’re liable to walk right back out—and go to the restaurant across the street. It’s noisy. A little chatter and some mood music? Totally fine. Guests straining to hear their names being called? Absolutely not. No one should have to miss out on conversation with their tablemates because they’re afraid of losing their spot in line. It’s dull or dingy. Thanks to smartphones and Instagram feeds, diners arrive at your door with spotty attention spans and high expectations. There’s lots of leeway between busting your budget and giving them a chance to be unimpressed from the get-go. It’s nonexistent. We’re all for small spots maximizing their floor space. A hole-in-the-wall hideaway is a fantastic find…until we have to park ourselves behind another diner’s chair because there isn’t room to wait anywhere else. Awkward. You don’t have to invest in fancy chairs or a swanky patio or even a fresh coat of paint. All you need is a waitlist app called Waitlist Me. The app is simple to learn and flexible to use. Making it work for your dining space is easy, and training your front of house staff to use it takes mere minutes. It works on most tablets, mobile devices, or a desktop computer, and you can sync it to multiple devices at once so that multiple staff can use it at the same time. The more you use Waitlist Me, the better you’ll be at giving accurate wait times, which reduces walkaways and improves the customer experience as well as the bottom line. Tuesday, March 6th, 2012 . For restaurants that are looking for an attractive, secure display for their devices, we have teamed with ArmorActive to provide a hardware solution. ArmorActive’s iPad kiosks are designed to secure and protect the devices, while complimenting both the sleek look of the iPad and NoshList’s stunning user-interface. ArmorActive, located in Utah’s “Silicon Slopes”, offers a number of attractive hardware interfaces for running applications such as NoshList, and is the fastest growing iPad kiosk design, engineering & manufacturing company in the world. 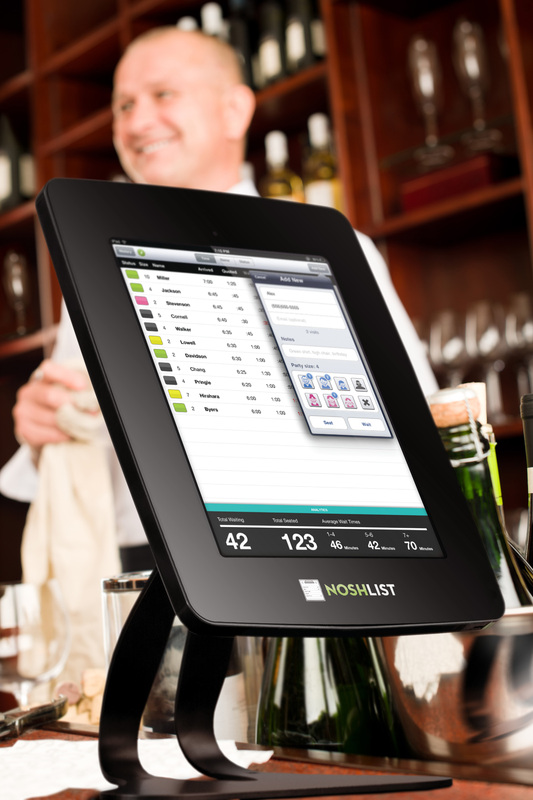 With iPad security provided by ArmorActive and the NoshList waitlist app, restaurants now have everything they need to make managing their wait lists easier and more secure than ever before. Thursday, December 21st, 2017 . Waiting is a universal problem. Wherever you are, it is painful to have to wait for your turn at a restaurant, barber shop, store, or other business. And businesses suffer from lower customer satisfaction and lost revenues when wait experiences are not managed well. That is why we are happy to announce that Waitlist Me is now available in over 60 countries! Check out our international plans page to see if it is live in your country. One of the challenges in offering the service globally is that prices to send SMS text messages in other countries are generally higher than in the US and Canada. The prices also vary considerably from country to country, and often even by mobile carrier within a country. We have addressed this by having a flexible system for charging for text messages separately, with pricing for these texts depending on the country. There is also more control in the Waitlist Me app over when to send confirmation and notification texts, so businesses don’t waste money sending a text that isn’t needed. Since texts are not included in monthly subscription prices, we have lowered the price for Premium to $10 and Pro to $20 for international plans, and removed the 100 party limit on the Basic free level of features. In terms of localization, all the customer facing parts of the Waitlist Me service have been translated into 30 languages, so businesses can send out texts and display their public waitlist pages in local languages with even our basic service. With Premium and Pro they can customize the messaging even more for these and other features. The Waitlist Me app that businesses use is still in English, but we’ll be fully localizing this in more languages over time. The nice thing though about the Waitlist Me service is that the core processes of adding, notifying, and checking people off the list are very simple, and don’t require a lot of reading or knowledge of English.